The Archaeology Museum in Cagliari was founded in 1800, when a proposal by Cavaliere Lodovico Baylle was accepted by the Viceroy, Charles Felix. He put Cavaliere Leonardo De Prunner in charge of an Archaeology and Natural History collection in a room in the Viceroyal Palace. 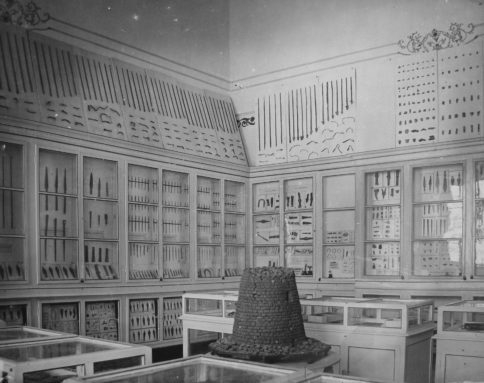 It was initially conceived as a “cabinet of curiosities” or “wonder room”, where highly distinctive, valuable and unique items could be displayed. Thanks to the exceptional collecting efforts of Baylle and De Prunner, antiquities, minerals and animals were regularly added to the growing collection. In a largely unprecedented move at the time, in 1802 the collection was opened to the public. 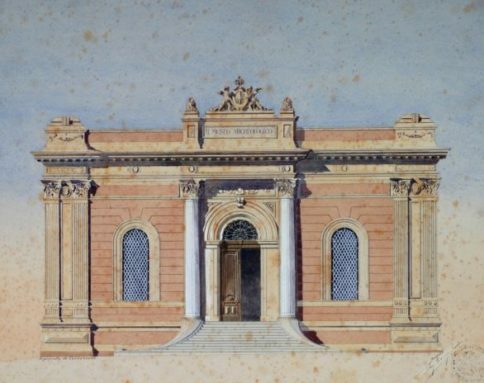 In 1805 the Viceroy donated the Archaeology and Natural History collection to the Royal University of Cagliari and it was moved to Palazzo Belgrano on the modern Via Università. 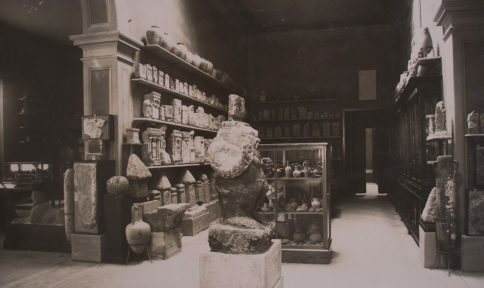 The original premises used for archaeological, zoological and mineralogical exhibits were extended in 1857. Despite a number of ups and downs under a series of museum directors, the collection carried on growing thanks to numerous significant donations (from Spano, Castagnino, Timon, Caput, and Cara) and new digging campaigns. 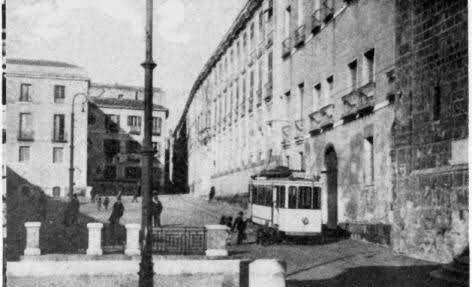 To accommodate the new items in 1895 the collections were moved to Palazzo Vivanet on Via Roma. The Royal Archaeology Museum was built to a design by Dionigi Scanu in 1904, on the former site of the Royal Mint on Piazza Indipendenza. 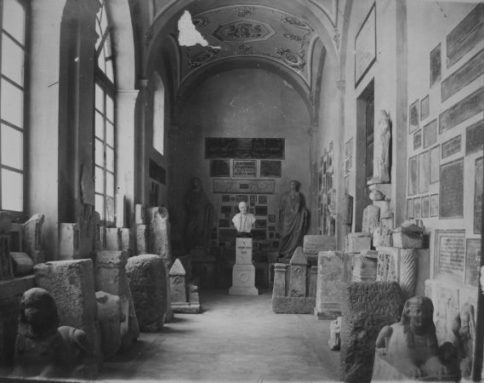 Between 1901 and 1931, the new display was organized by Antonio Taramelli, the Curator of Antiquities for Sardinia. In 1993, the collections were moved into the “Museum Citadel”, in one of the buildings constructed by the architects Piero Gazzola and Libero Cecchini between 1956 and 1979 to host the most important museums in the city. The “Museum Citadel” complex and the locations within it are a significant example of architecturally rehabilitating a fortified structure. Since 2013 the Museum also has its own virtual building through the blog and its social media channels. A new way to communicate with the visitors. In 2016 the museum becomes “liquid”, Museum renews and transforms its content to be more accessible to all visitors. 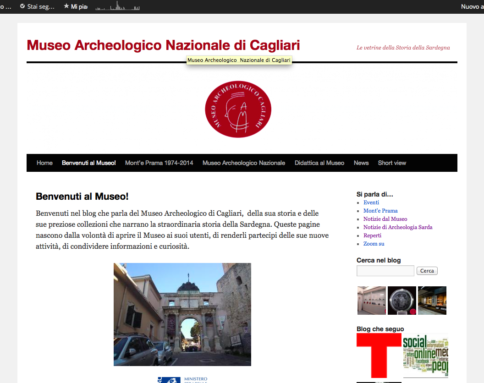 Opening of company profiles and blogs, virtual buildings of the museum. 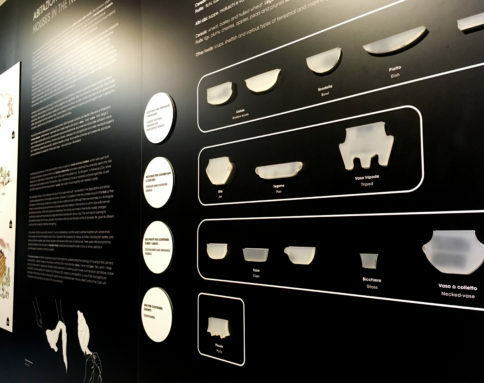 The museum is set up in ‘building the brand in Independence Square, designed by Denis Scanu. 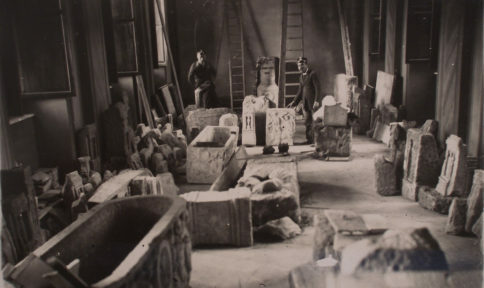 To accommodate the new object was first created by a lapidary cabinet, then in 1895 the entire “museum” was moved in some rooms of the Palazzo Vivanet on Via Roma. In 1805 the Viceroy gave the collection of the Cabinet of Archaeology and Natural History at the Royal University of Cagliari in the Belgrano headquarters building, in the Via University. The Cabinet of Archaeology and Natural History in the halls of the Viceregal Palace, edited by Knight Leonardo De Prunner.